Enygma Productions is getting set to present ‘DIA Live and Direct’ on Saturday, May 4th at the Blue Waters Anglers Club. 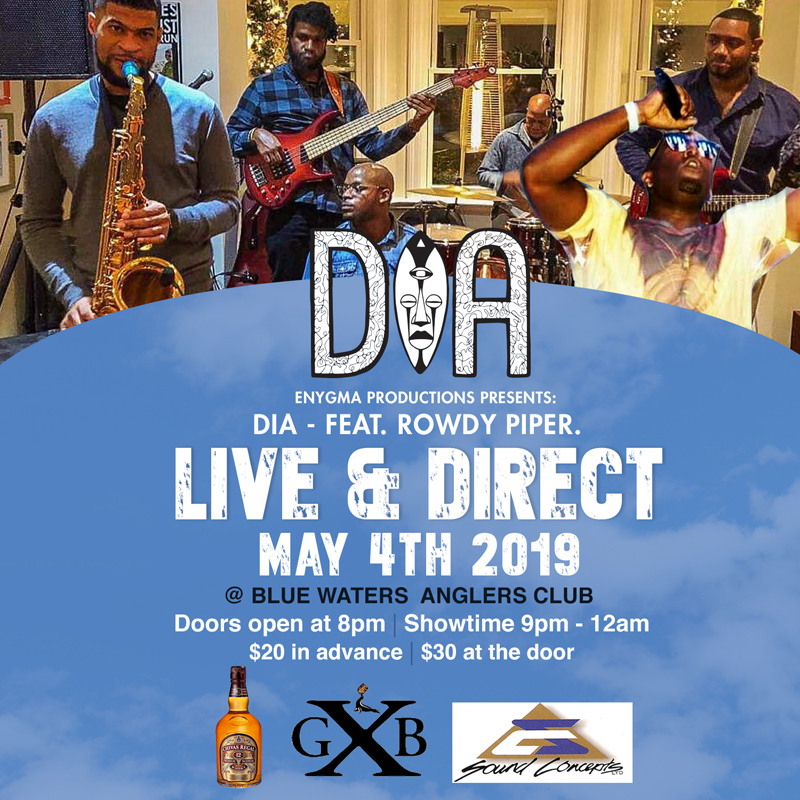 A spokesperson said, “Come and hear one of Bermuda’s hottest bands, DIA [Devils Isle Audio] Live and Direct at the historic Blue Waters Anglers Club on Saturday, May 4th. “As seen at Marcus’ famous Thursday Reggae nights, DIA keeps you rocking all night long to Classic Reggae, Dancehall, Jazz, Soul, R&B, Hip-Hop, Soca and Afro-Funk hits.